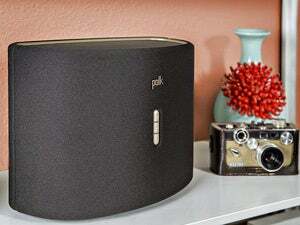 If you’d like to take your wireless music to the backyard, park, or any other place where there’s no easy access to an AC outlet, Polk Audio’s Omni S2R is one of the more affordable answers. A rechargeable, self-powered, Play-Fi speaker module that provides about eight hours of wireless playback, the Omni S2R is also weatherized to withstand freak rain showers and the like. The sound isn’t audiophile, but bass-aholics will like it. The Omni S2R weighs in at a hefty 3.3-pounds, but a considerable amount of that is the onboard rechargeable Li-ion battery. In appearance, the S2R is a 9-inch long, mildly curved quarter-cylinder than can sit on end or on one of its flat sides. 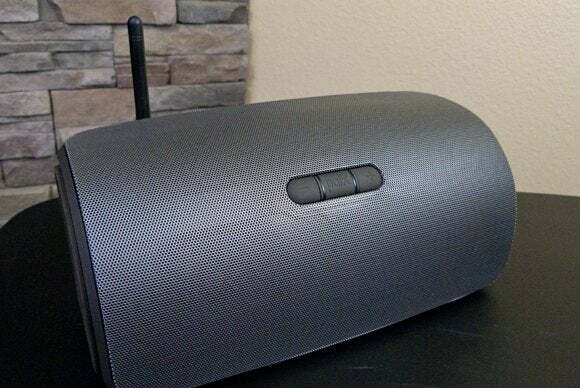 The other “flat” side is home to a stubby Wi-Fi antenna, the WPS setup button, and a small unobtrusive status light; plus AC, audio-in, and USB ports. All the ports are capped with rubberized plugs as part of the Omni S2R’s weatherizing. The USB port, as with other Play-Fi units is for upgrading the firmware and charging cell phones. Polk’s product was much smoother in operation than the Phorus PR5. That’s a bit odd, as Phorus is part of DTS, the company that provides the software and Play-Fi modules. 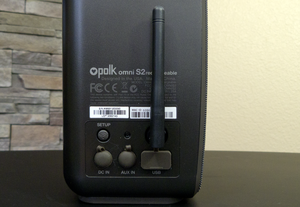 The Omni S2R Rechargeable was easy to set up, and exhibited only the slightest lag when starting, stopping, or advancing playback. 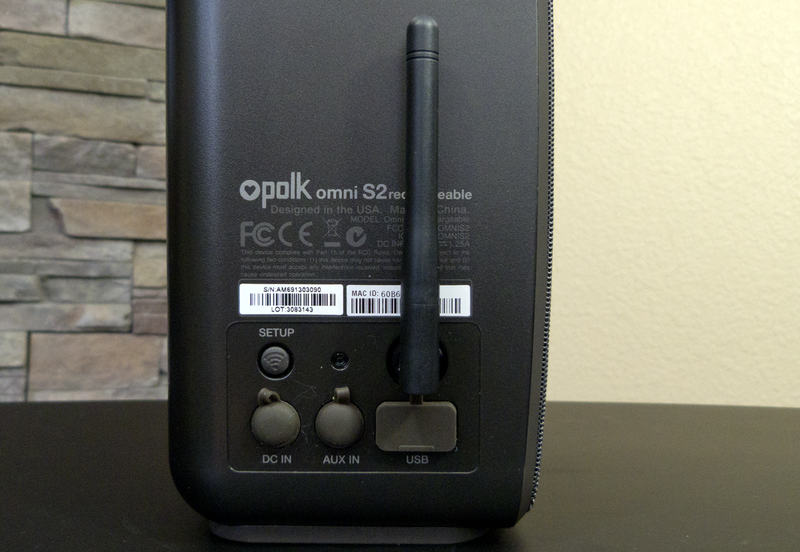 Polk Audio's Omni S2R has rechargeable battery, so you can take your tunes on the go. I do have a couple of minor complaints about the controls, which in design terms, mistake simple for easy. The multi-function center button used to stop/start playback and power off tended to get hung up on the surrounding volume up and down buttons. Worse, there’s no valid explanation in the user’s guide as to the secondary functions of any of the buttons. The Omni S2R generates plenty of bass with its dual 2-inch speakers and accompanying radiators. Too much, for my tastes, especially when acoustically coupled with dense objects such as wooden furniture. Lying on the grass or on another absorptive material, the bass is heavily accentuated but not as overbearing. But I’m the first to admit that I don’t like subwoofers, and that’s the amount of low-end we’re talking about. Those that like lots of low-end will love the effect. The Omni S2R's ports have rubber covers to keep out the elements. I also found that the mid-range a tad lacking in definition, thought that depended heavily on where I was sitting in relationship to the Omni S2R. There’s not a lot of stereo separation to be had from a box that’s only 9 inches wide, but it generates plenty of volume without distorting, and separation increases at a distance. In the Wi-Fi audio universe it shares with Sonos, the Omni S2R’s $250 price tag is reasonable and then some. Especially given that it’s portable (Sono doesn’t offer any outdoor or battery-operated products). It’s a great implementation of Play-Fi and if you want kickin’ bass, you’ll love it. If you want accurate sonic reproduction, perhaps not. Note: This product was reviewed as part of a roundup. Click here for an in-depth introduction to DTS Play-Fi ecosystem, and links to other Play-Fi product reviews. 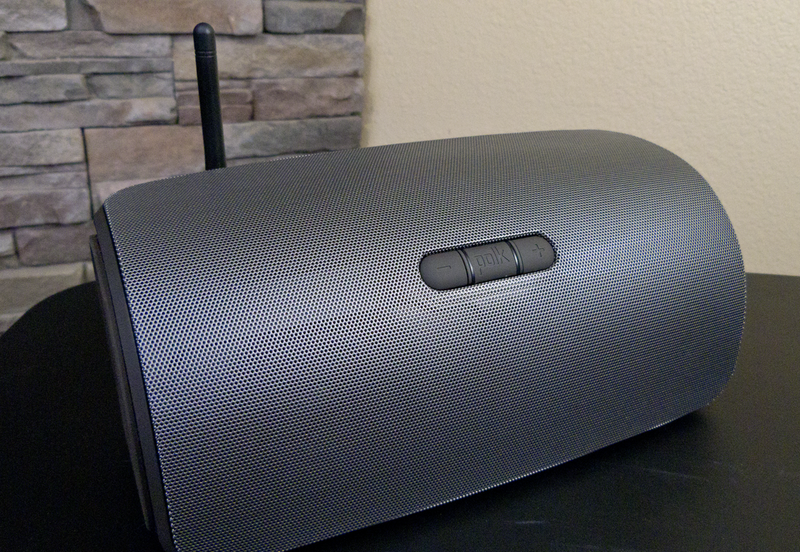 This powered stereo speaker shows how seamless and responsive Play-Fi can be. It also kicks out an exceptional amount of bass, which makes buying it a matter of taste.